Maurizio Sarri admitted he is worried by Chelsea's fragile mentality after their hopes of a Premier League top-four finish were dented by a 2-0 loss at Everton. 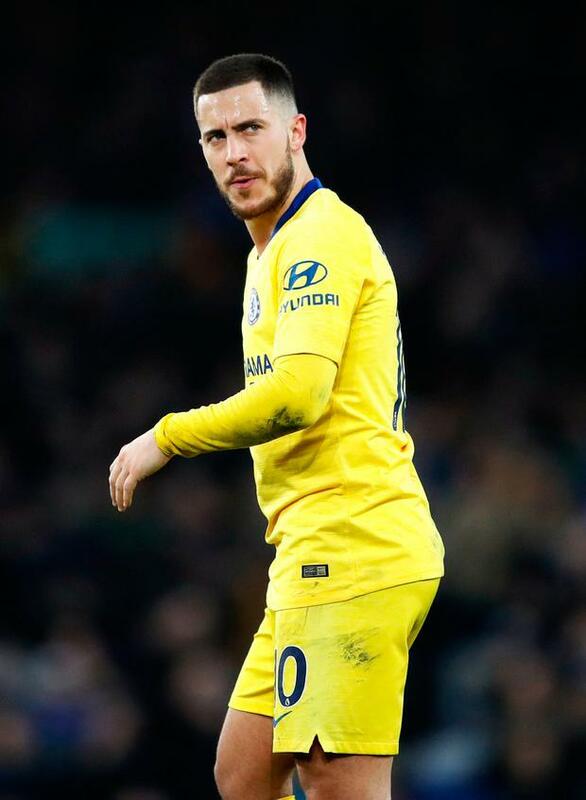 The Blues dominated possession and territory in the first half at Goodison Park yesterday, and Eden Hazard saw a deflected strike come back off a post, but they faded badly after the interval. In contrast, Everton were rejuvenated and went ahead through Richarlison's header shortly after the resumption, while Gylfi Sigurdsson's scored on the rebound after his 72nd-minute penalty was saved. The result keeps Chelsea three points behind fourth-placed Arsenal, though Sarri was at least enthused by what he witnessed in the first 45 minutes - even if he is baffled by the sudden drop-off. "We played probably the best 45 minutes of the season then suddenly, at the beginning of the second half, we stopped playing. I don't know why," the Chelsea coach said. "We continued really very well until the last minute of the first half and were playing suddenly very badly in the first minute of the second half. "I am worried about our mentality but we played the best 45 minutes of the season. "If we play like in the second half for the next eight matches we are in trouble. It's impossible to arrive in the top." With eight matches left, Sarri refused to write off Chelsea finishing in the Champions League places. "It's not impossible, why impossible? We need to recover only three points so it's not impossible in eight matches," he added. "It's impossible if we are not able to improve, if we are not able to avoid a second half like today. We need only to play like in the first half for the next eight matches." For Everton it was a first win against a top-six side since January 2017, when they demolished Manchester City 4-0 at Goodison. Toffees boss Marco Silva stressed that is the sort of run which has to be eradicated if they are to fulfil their ambition of challenging that established Premier League elite. "I didn't know these numbers before the match," he said. "It is something which cannot happen again because it is not a normal thing for a club like us, so many times not winning against strong sides. "It was too clear the difference," he said. "I said to our players something simple: 'We have to do something different if we want to win the game'."